Can you take a guess what it is? Guess how much money that one keyword makes me? Little to nothing. Why? Because I picked the wrong keyword to rank number one for. Today I’m going to share with you how to find the right keywords to rank number one on Google. The first tip I have for you is to put your top competitor’s URL in semrush. Semrush will show you the most popular pages that your competitors are getting traffic for. This will give you ideas of what your competitors are doing and how you can find the right keywords to rank for. If your competitors are bigger than you, they probably know what they’re doing, and they’re probably going after keywords and traffic, that convert into leads and sales. Once you’ve figured out their most popular pages, take those pages and put them into ahrefs. Ahrefs will show you how many links each of those pages have, and you know what the hardest thing is to do? What you want to do is look for the most popular pages that have the least amount of links. Those are the pages you should be focusing on first. It’ll give you ideas on all the keywords that your competitors are ranking for when they don’t have a ton of backlinks. That’ll give you an idea of the right keywords you should be targeting first, because not only will they drive you a lot of traffic, but they’re the lease competitive because you don’t have to build backlinks. The second tip I have for you is to use Google Search Console to find the right keywords to rank for on Google. Did you know that Google gives you a free tool that helps you rank number one? It’s called Google Search Console. It breaks down all of your rankings, the keywords that your pages are getting traffic for, and even the positioning as page 1, page 2 and page 3. It breaks down exactly where you’re ranking. The cool part about Google Search Console keyword planner is when you dive deep into each of your pages using the search analytics, it shows you all of the impressions that you’re getting for keywords that you’re on the bottom of page one for. You want to go after the keywords that you’re at the bottom of page one for because it’s way easier to rank number one for a keyword that you’re already on the first page for, versus going after a brand new keyword that you’re not even in the top hundred for. Going after a brand new keyword that you’re not even in the top hundred for is a lot more work than going after one that you’re already on the bottom of page one for. 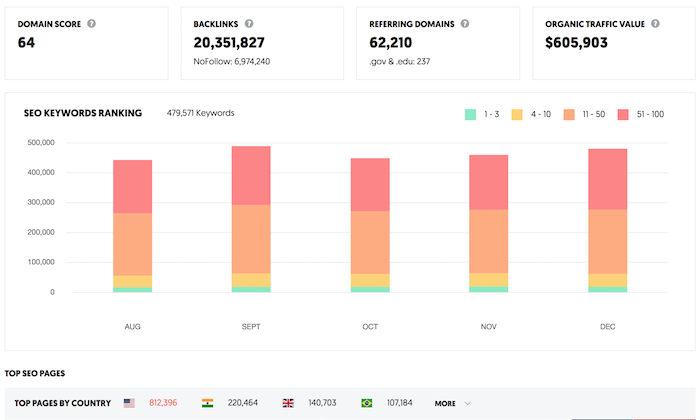 Google Search Console can show you keywords that you’re not even trying to go after, but yet they drive traffic, and they convert visitors into customers. Go to your landing page, and make sure that those keywords are in your title tag, your meta description, your heading tag, and within the content of your page. By doing that, you’ll slowly start increasing your rankings for those pages that you’re at the bottom of page one for. The last tip I have for you to find amazing keywords is to use Google Trends. It’s another free tool by Google. It breaks down keyword traffic from web images, news. This breaks down what keywords are climbing in popularity, and you wanna go after the keywords that aren’t popular but are climbing. For example, Apple has a ton iPhones, right? If they’re going to release the iPhone 100, you want to talk about it before everyone else is talking about it, because the moment you’re one of the first adopters, one of the factors that Google has when it comes to rankings is time. It’s hard to outrank older pages. It’s not impossible, it’s just harder, so why not be one of the first people to blog about new terms that aren’t popular yet. Try to blog about new upcoming keywords, because you’re not going to get traffic from them right away, but in two, three months, or even a year, you’re going to be dominating, because no one else went after those keywords before you did. Just think about green tea, and acai berries, and all of those hot crazy nutrition terms. Yes, they’re really popular now, and they’re buzz words, but back in the day, no one was really looking at them. If you’re not sure what keywords are up and coming, just tell me the keyword, or link in the comments below using the Google Trends link, and I’ll tell you if it’s the right keyword, or a negative keyword, if it’s up and coming, or it’s declining. That way you’re not wasting your time writing articles on stuff that won’t be popular. And if you need help with digital or online marketing make sure to leave your questions in the comments!